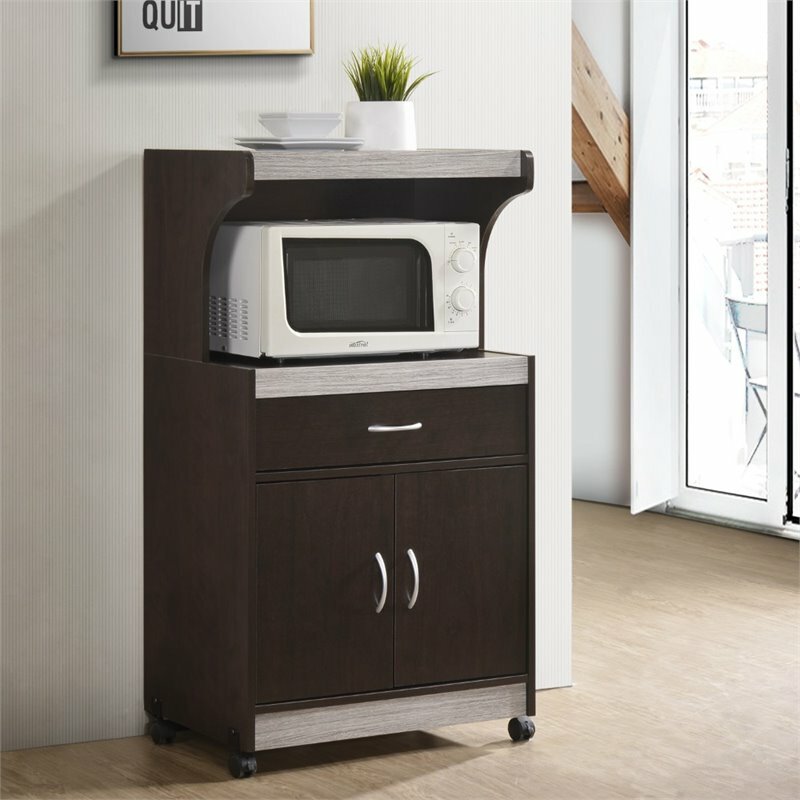 Contemporary and functional, this microwave cart is the perfect solution for your kitchen storage needs. The large open storage space at the center houses your microwave. The top shelf can be used to store your toaster oven. It has an enclosed cabinet space which provides compact kitchen storage for small kitchen appliances, pots and pans. It features a drawer for utensil storage. This microwave cart features wheels, which allows for easy mobility if necessary. It is made of wood, which ensures strength and durability.